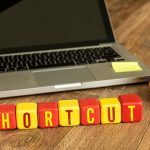 People who conduct research on the internet, scroll through electronic documents, or search in databases know how important and helpful keyboard shortcuts can be. 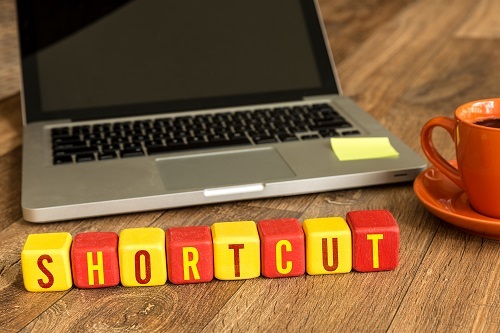 Keyboard shortcuts help researchers quickly find, retrieve, and relocate critical information. And the winner is … Ctrl F, the Find function. This is the function that opens a Find window in most applications, or finds items in a document. I frequently use this function when searching in PDFs, MS Office documents and many databases. I do happen to think that this function is the most-used and useful function in my daily work life; and I suspect it will be in yours, too. There’s a mantra shared by anyone who has ever lost an important file or document on their computer – save regularly, and save often. Never again be vulnerable to the vagaries of crashing computers or servers, or sudden and unexpected loss of electricity. Don’t be a statistic – use Ctrl S to save your work, and save it often! Who would have thought a keyboard function would inspire cutting edge companies and commentators to describe a current epoch? Has the dawn of the 21st century ushered in a deep desire to “Undo” parts of our lives? Do we all yearn to return to something as it was before, with no regrets? While we may not all want to click the “Undo” button at certain points in our lives, it is certainly a great function when working in MS Office documents or other editable documents. In some apps you can undo and redo multiple commands. I use this function often when designing brochures, flyers and other marketing material. I also like the flexibility the function offers. It’s okay to try out an idea, and then undo it, if you don’t like the result. Undoing the last five or ten commands becomes easy and accurate. Try it; you’ll be surprised at how beneficial the function is to the creative process. Select the paragraph or section you wish to cut. Click Ctrl X to cut the selected section and paste it somewhere else, or simply discard it. I frequently use the Cut function when working with images and when editing lengthy word articles. Ctrl C is the Copy function and Ctrl V is the Paste function. Copy the selected item to the Clipboard and paste the contents of the Clipboard into the current document or app. These handy little keyboard shortcuts are the “safer” versions of the Cut function. Why “safer”, you say? When I’m writing articles under strict deadlines I don’t want to lose critical information I’ve spent an intense time thinking about and writing. Instead, I copy my words and paste them, rather than cut and paste them. Is this being a little paranoid, perhaps a tad overkill? Well, maybe just a little. But ask me this: Have I lost critical information lately? Answer: No, not for a long, long time. Period. There are many more keyboard shortcuts which improve the research experience. I’ve only listed my five most-used keyboard shortcuts here. Let me know if you think your favourite keyboard shortcut should bump one of mine off the list?